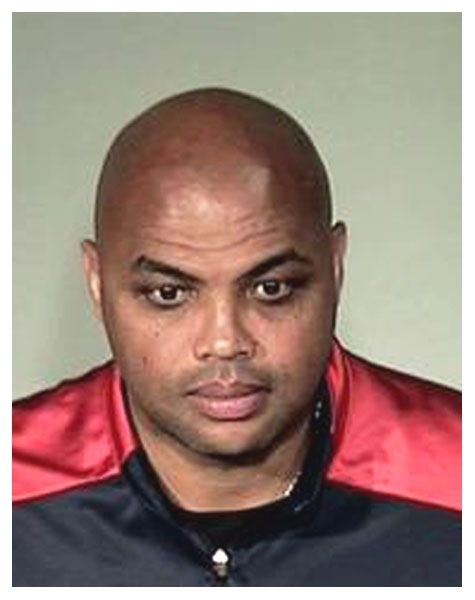 NBA Hall of Famer Charles Barkley posed for the above mug shot in March 2009 as he began serving a three-day jail sentence in the Maricopa County Sheriff's Tent City jail. The TNT studio analyst was arrested in December 2008 in Scottsdale, Arizona on a drunk driving charge. His blood alcohol content was nearly twice the legal limit of .08 percent. Barkley, 46, pleaded guilty in February to two misdemeanors. Submitted by midnightrider on Mon, 2011-02-28 23:49. Submitted by GeorgeDubyaBush on Sun, 2011-05-22 16:33.